For more than 40 years Stefania Confezioni has worked in clothing in the province of Macerata. The company is now known for the quality of the services offered and represents an excellent partner for high fashion companies. Thanks to the highly skilled staff and the use of modern equipment the company is highly competitive in the production of clothing. It follows high standards of quality and is always in step with the times and can produce any type of Jersey product that the client can ask for. Created in 1998by the merger of Luca Confezioni and Confezioni Stefani, Stefania Confezioni of Porto Recanati had been active in the production of clothing since 1974. We specialize in the production of elasticized fabrics, Jerseys, light fabrics and sweaters, we produce. We produce all types of clothing that use these materials: t-shirts, suits, jumpers, etc. Constant updating, a park of more than 200 machines and internal CAD Modelling lets Stefania Confezioni satisfy any request by customers. 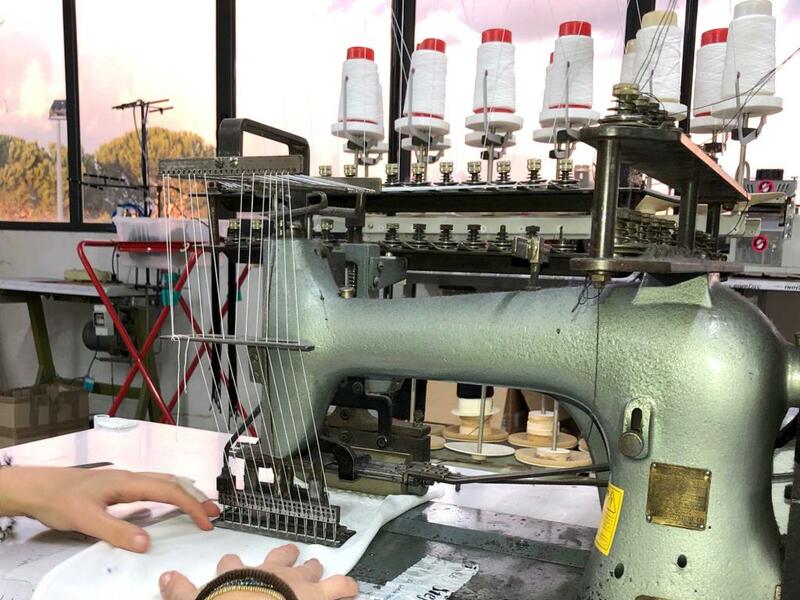 Laser processing, needle punching, personalized re-sewing and bartacks, heat sealing, incision printing, special ruffles and pleats are operations that are all carried out entirely in the premises as well as the final ironing and laundry. For decades we have been using collaborators for the prints, embroidery, dying and treatments. Stefania Confezioni provides its clients with its many decades of experience by offering a high quality of service. This is the essential objective of the company’s policy that is aimed at the constant updating of its personnel and internal management of the production of clothing. We use the collaboration of reliable and qualified external companies for the production of prints, embroideries, dyes and superior enzymatic washing treatments. This challenge was won by a company that produces high quality clothing. The company uses the collaboration of expert personnel for the production of high fashion and design clothing that is absolutely in line with latest trends in style. Stefania Confezioni is the ideal partner for high fashion companies for the production of garments and accessories with specific and personalized procedures. For clothing, Jersey and accessories of quality, Stefania Confezioni is the company to trust in peace. Years of experience in the fabric, the use of the latest machines, constant updating and an eye for prestigious production allows the company to produce any type of garment with any type of Jersey, from the lightest to the heaviest sweaters. This is the ideal partner for fashion companies, it works for third parties, even commercial, by producing garments of high quality. Stefania Confezioni of Porto Recanati produces clothing and specializes in the production of elasticized fabrics, Jersey, light fabrics and sweaters.